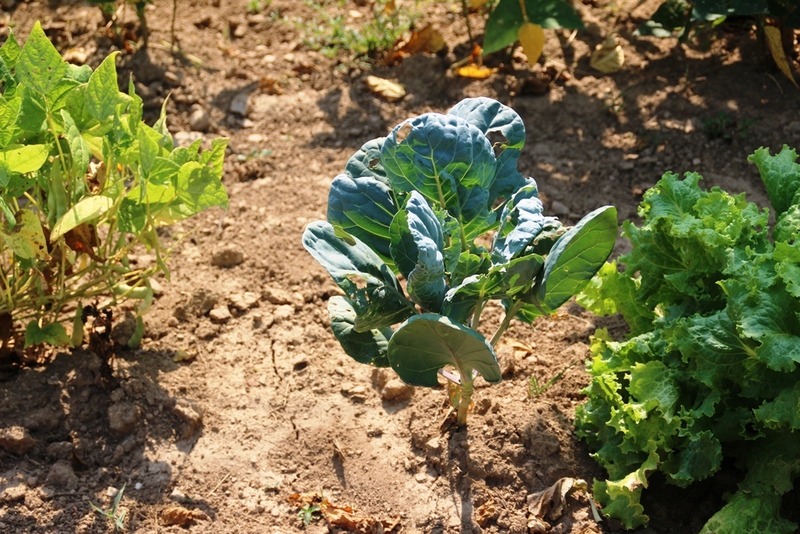 Here is the garden after weeks and weeks without rain. 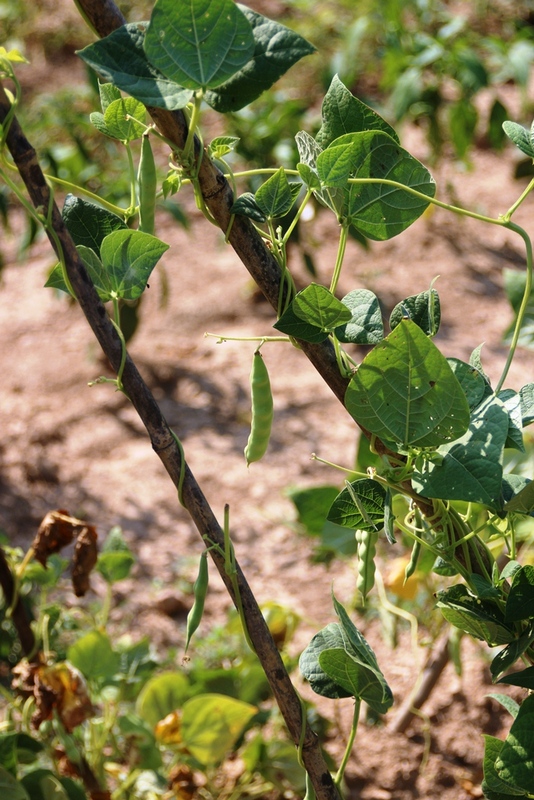 Amazingly, the beans are vining, however, they are not nearly as full as past years and have not produced many beans. Usually by this point in the season, the vines are so thick that you can’t see the poles. We have a long way to go to catch up this year. Hallelujah! We have partridge head beans. Only enough to make one or two servings, but at least we have some. 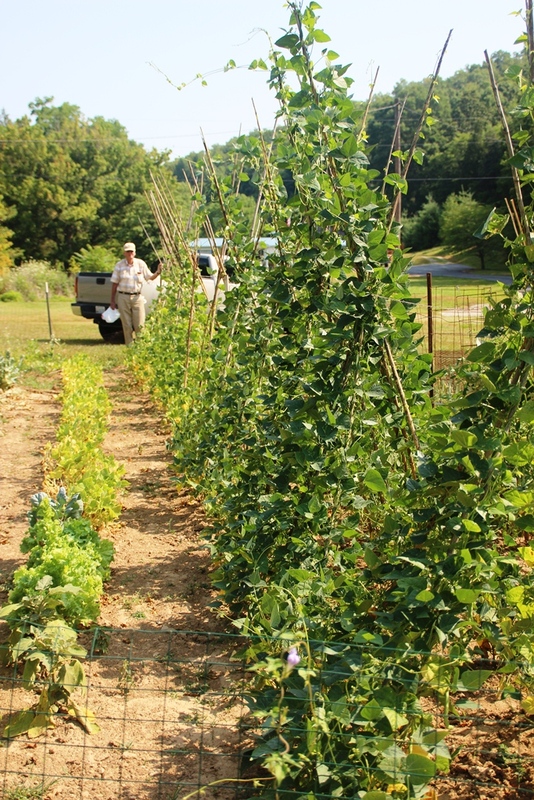 The butter beans have fuller vines but have yet to produce any beans. I will be awaiting their arrival impatiently as they are one of my favorites. 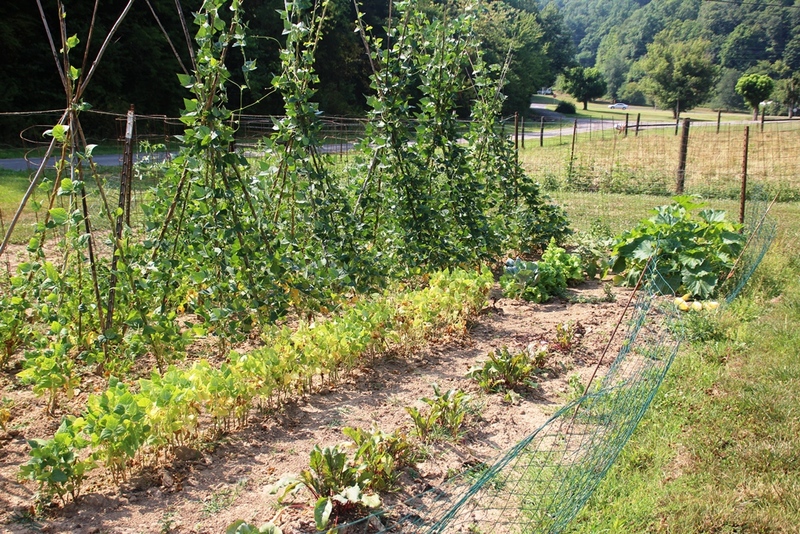 The row of short plants with light green tops are radishes. Papa couldn’t talk me into taking any of those with me. It will be a miracle if we ever have any brussel sprouts. I like this angle. The garden looks much more lush from this side. 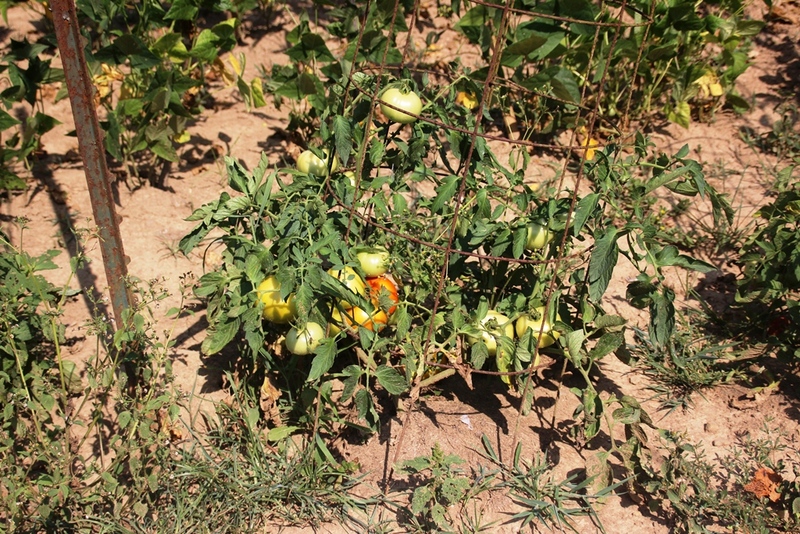 We have some tomatoes coming in. From what I hear, they are scrumptious. I will probably try one sometime in late July to see if, by some miracle, my palette has changed and I now like tomatoes. Apparently Papa had forgotten to plant any Missouri wonder beans when he planted the other 6 or 7 varieties so he stuck a few rows in where the early onions were. 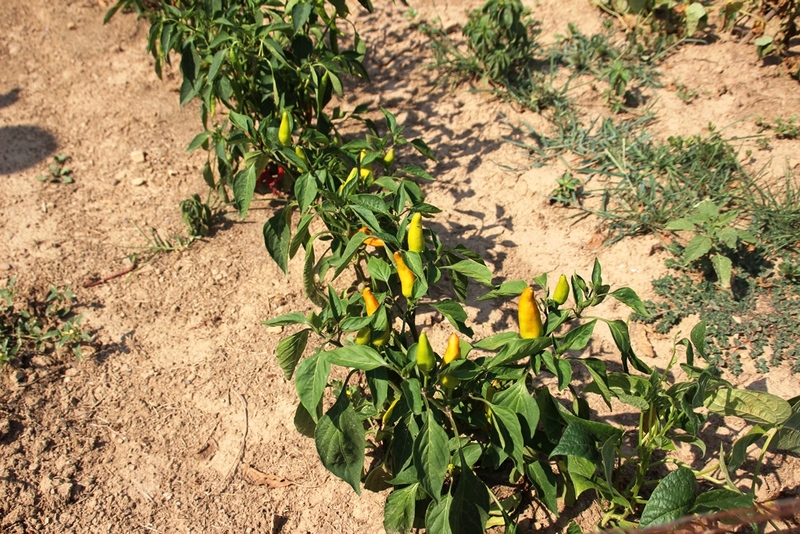 Here we are at the row of peppers. These are hot banana peppers. I don’t know if I have ever tried one so I will have to make a point to do that this year. I think these are so neat because they grow upside down. I don’t really know why they do this so I will ask Papa and report back. Hiding in here are jalapenos, both red and green. These little devils will set you on fire. 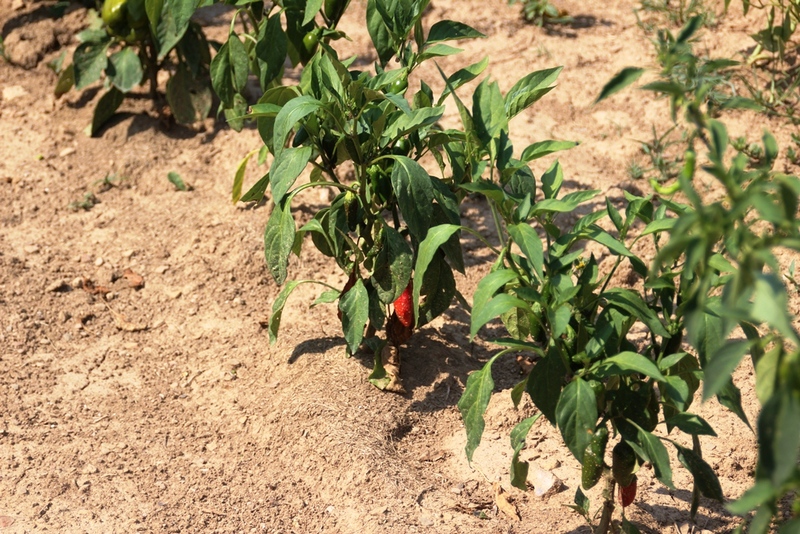 Due to the extremely dry conditions, the peppers are much hotter than normal. Thus, the jalapenos that I used to mince up and sprinkle liberally on my beans are now as hot as the cayenne that I used to mince up and sprinkle VERY sparingly on my beans. Imagine my surprise when I took a big bite of beans with lots of jalapeno. I swear I would have breathed out flames if I had opened my mouth. But, luckily for my dining companions, my mother taught me to chew with my mouth closed. These are the cayenne peppers, which would probably burn up my insides if I ate one. I’m kind of scared to try one this year. Maybe I’ll see if cousin Lauren will try one. She’s pretty tough with hot peppers. If she doesn’t start crying or sweating, I might try one. Though it still has a ways to go, I’m glad we finally have some things to eat out of the garden. 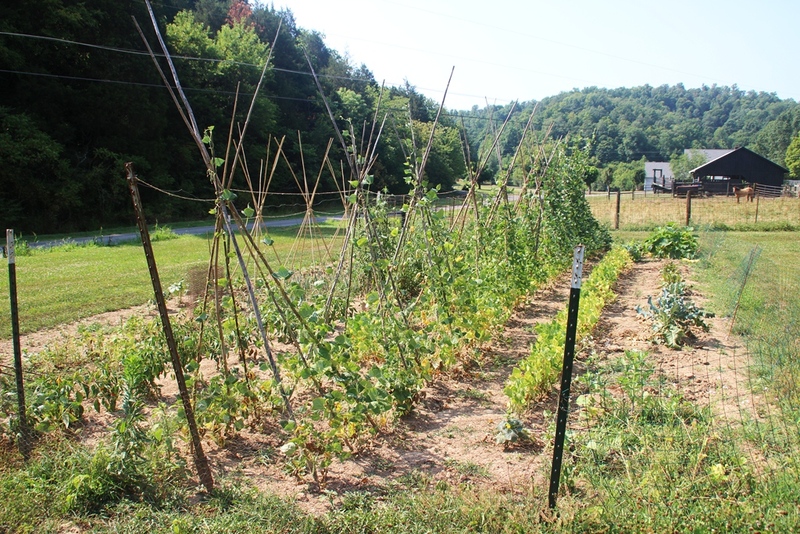 Hopefully after all of the rain this week, the garden will flourish. Papa gives me reports on the rain by the 10th of an inch as of late so I hope to hear about several inches of rainfall and lots of growth in the garden next time I check in. If that is the case, the next progress report may show what looks to be a completely different garden. Although Papa has stopped growing it because the deer tend to eat it all, corn is also starting to come in at the farmers’ market. I can’t wait to get my hands on a few dozen ears of corn to put up. There’s just nothing like fresh corn in the dead of winter. Or in the dead of summer, for that matter. Or in the dead of any time of year. I like corn in case you hadn’t noticed. I also really like beans. In fact, my ideal summer plate would contain corn and beans with hot pepper and onion. I like the title, the wonderful feel of the painting at the top, your “y’all come back” (or “y’all eat up” as the case may be)–and everything in between. Thank you for stopping by hiddeninjesus.wordpress.com. Your southern world is all new to me– mine is all midwest, far west and even farther west (Hawaii and Japan)–I’m enjoying it. Thank you! 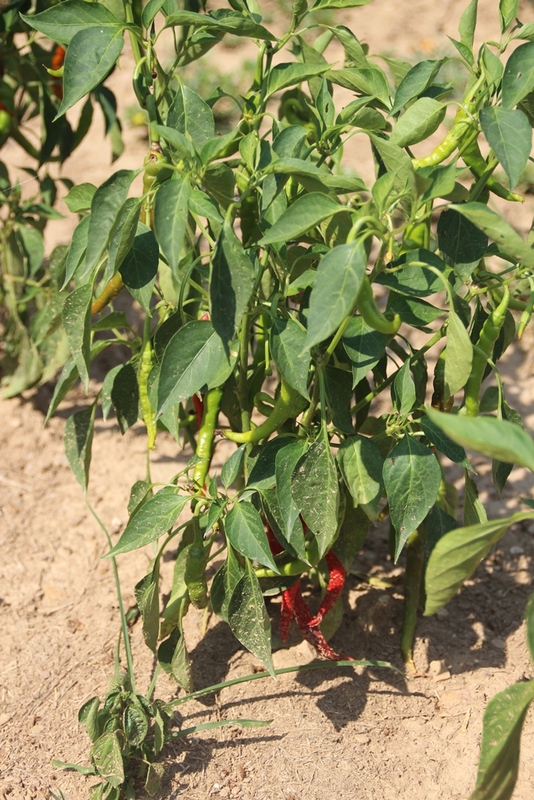 love the hot pepper pics – I’m still waiting for mine to come through! It may not be hot enough up here but the Southern gal in me won’t give up on them….lol. Hope ya’ll get some rain too! I wish I could send you some! I have more than I can eat! Your beans look fantastic! 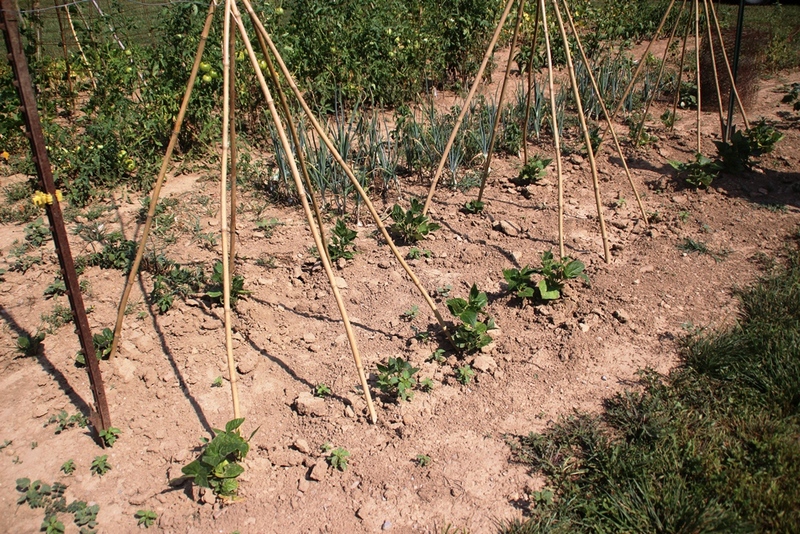 At least you didn’t get beans that were mislabeled as pole beans from the nursery that turned out to be bush beans!! It took me 2 months to realize why they weren’t climbing up the poles.